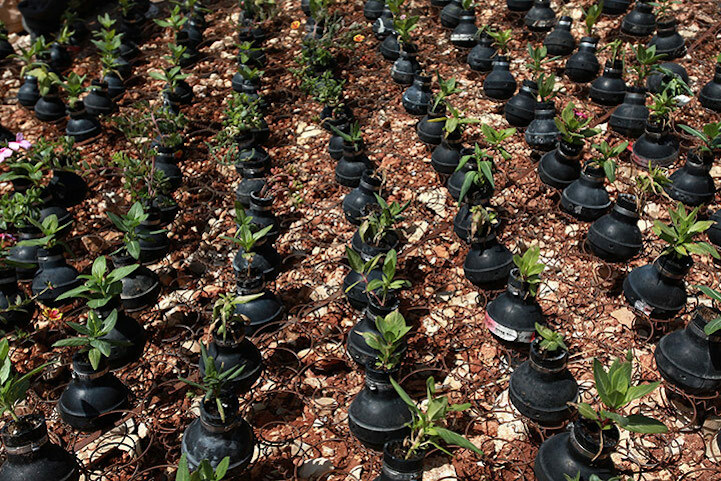 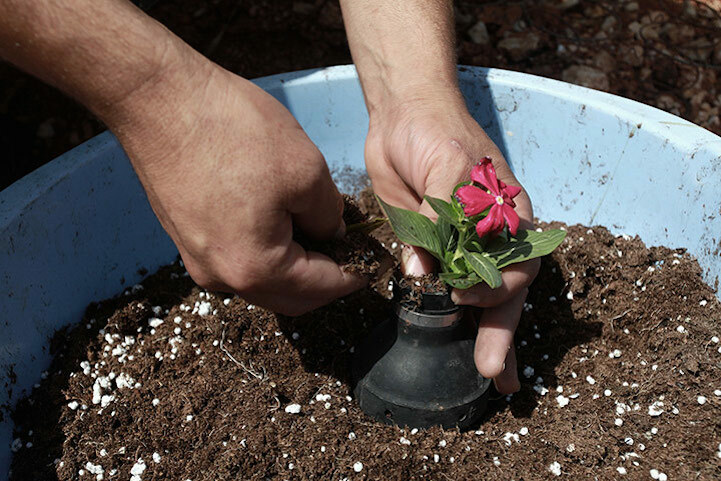 In the dry arid region of the village of Bil’in in Palestine, an unconventional garden of used tear gas canisters emerges just like a one-of-a-kind oasis. 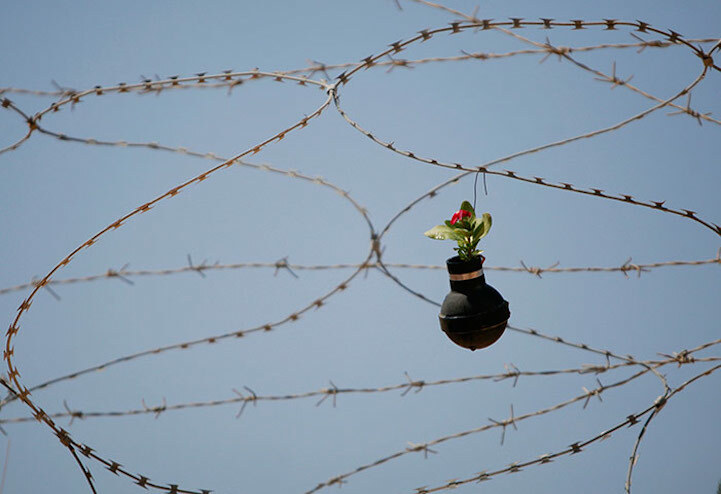 The village is near the West Bank city of Ramallah and it is there where the empty canisters were collected from, after conflicts with Israeli soldiers during riots concerning the separation wall. 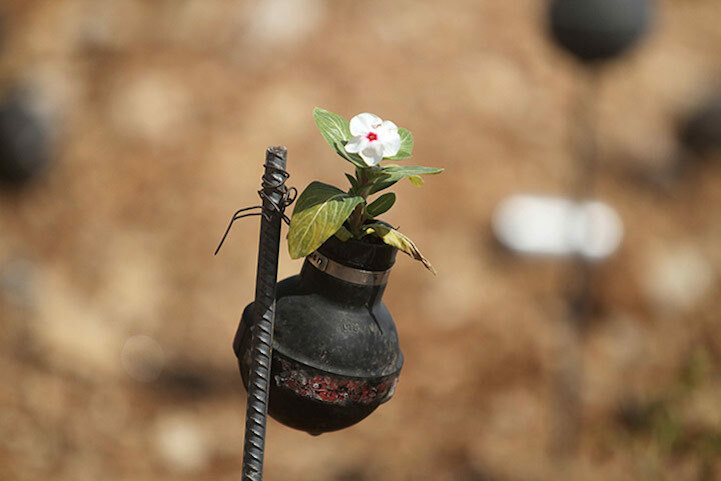 These canisters were then used as pots for plants for this unique memorial. 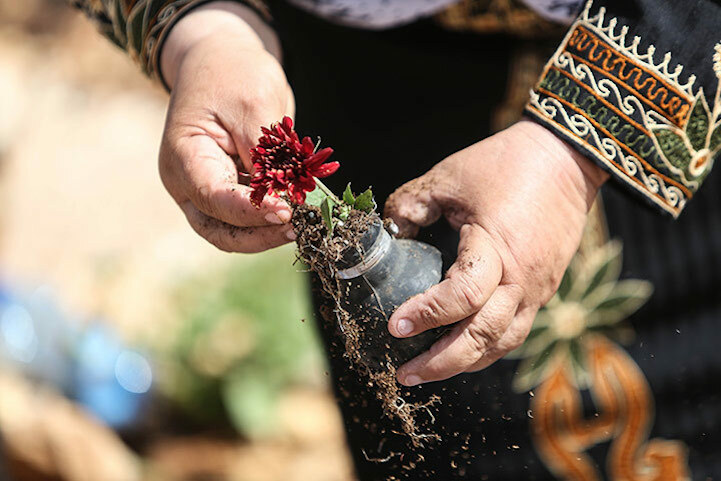 The villagers of Bil’in believe that their garden expresses the message of life emerging from death, as new sprouts grow in items once used to hurt or even bring death. 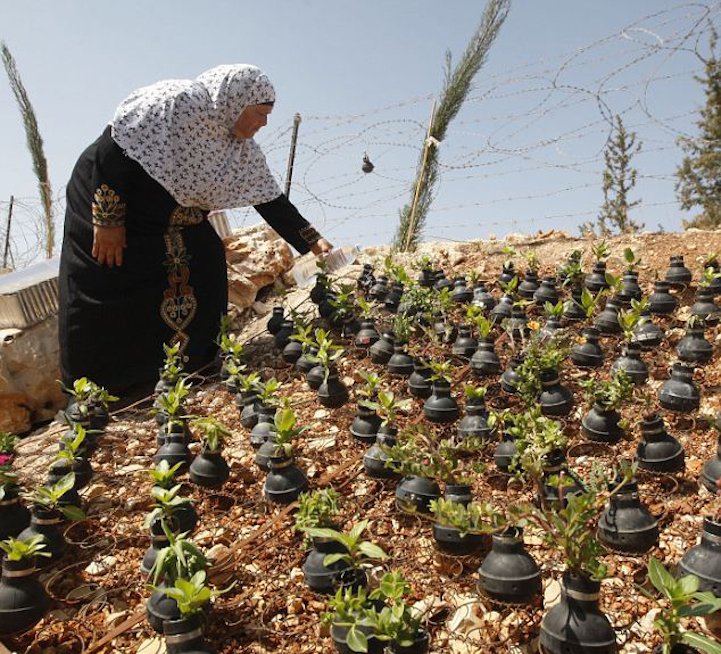 Apart from its allegorical meaning, the garden also honours those Palestinians who lost their lives during their struggle for their land. 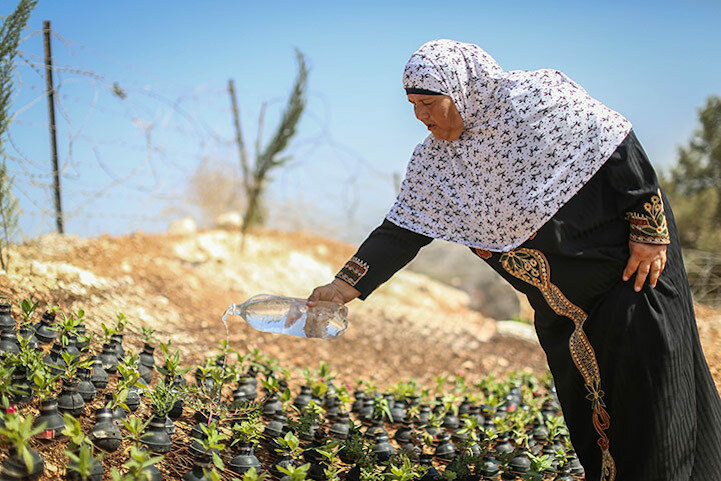 The woman who waters the plants in the pictures is Sabina Abu Rahmeh and mourns her son who was killed in 2009 by a tear gas grenade shot by Israeli forces. 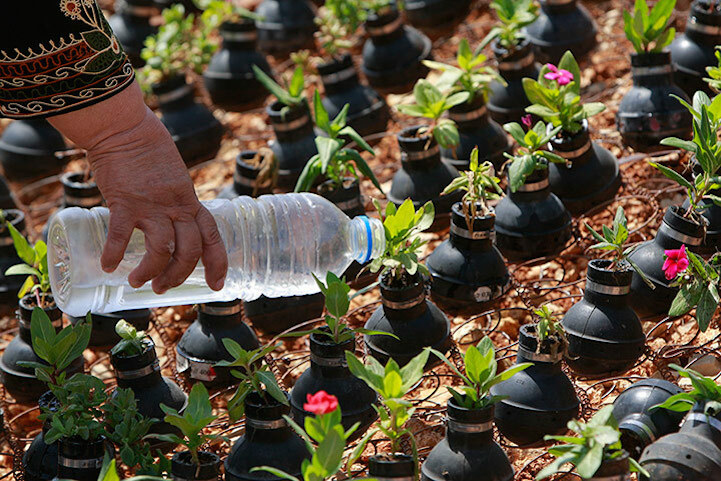 While Bassem and other victims are honoured by the villagers, the memorial also serves as a reminder of the land that Palestine was able to reclaim about three years ago. 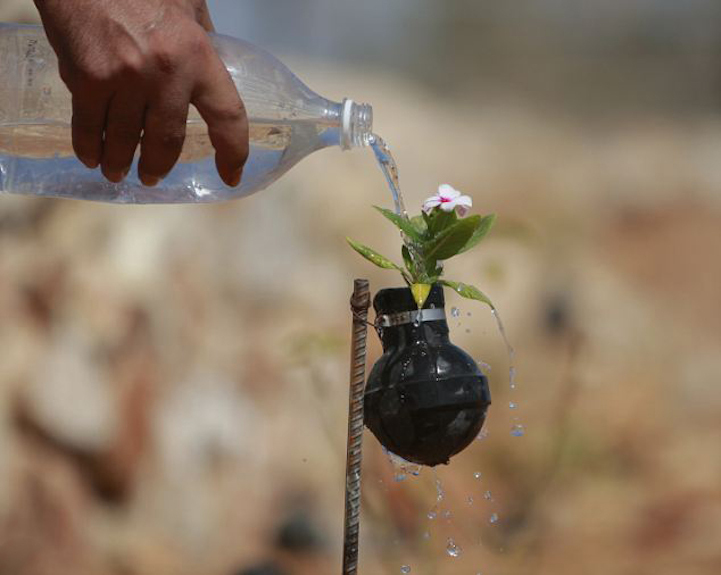 The villagers of Bil’in protest on a weekly basis against the construction of the barrier which cost them some 60% of their farmland. 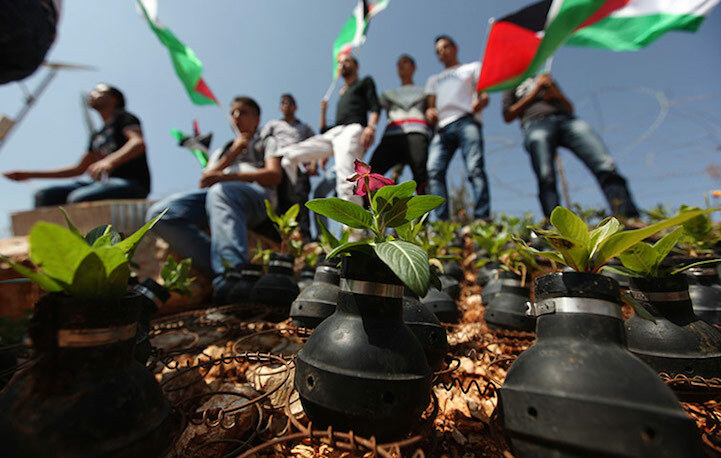 Unfortunately, as is the sad case in all wars, these protests usually end in violent restraints by the Israeli forces, having as a result more used canisters to be collected from the sites for the villagers to add to their symbolic memorial garden.